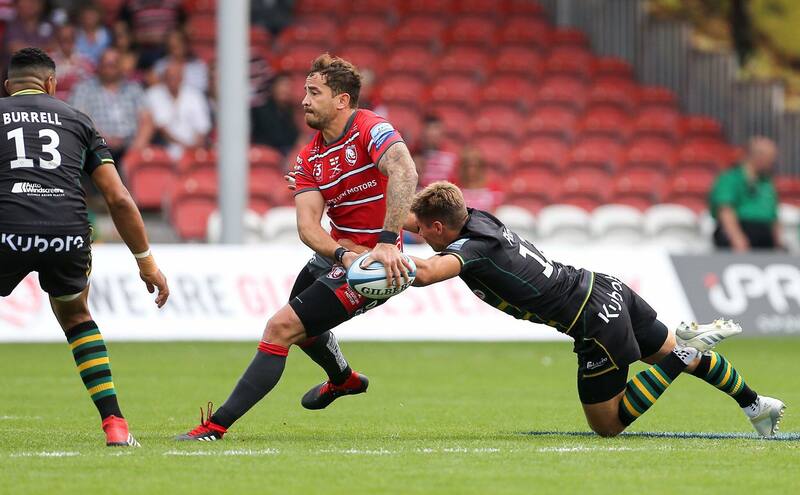 England international Danny Cipriani once again stole the show with an incredible pass to put Matt Banahan in for a try against his old club as Gloucester snatched a late draw against Bath at the Rec. The cherry and whites looked to be on the way to a comfortable win, scoring three first-half tries to race into a 21-0 lead. But Bath never gave up and fought their way back to 21-21. Elliot Stooke then looked to have won it for the home side with a 72nd minute try, but up stepped Danny Cipriani in the final moments of the game with an incredible pass to Jason Woodward that then ended up in Matt Banahan’s hands for a try. Check it out below. What a pass!